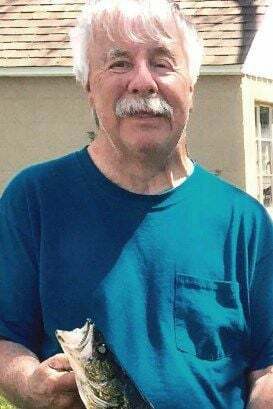 LAKE HALLIE — Leslie “Les” H. Barsamian, 68, of Lake Hallie passed away Saturday, March 30, 2019, at HSHS Sacred Heart Hospital with his loving family at his side. He was born July 15, 1950, in Chippewa Falls, the son of John and Cecelia (Hayes) Barsamian. Leslie graduated from Chi Hi with the class of 1968. On July 14, 1979, Leslie married the love of his life, Nadine A. Hetchler at St. Anne’s Catholic Church in Turtle Lake, Wis.
Leslie and Nadine had three children which meant the world to them. He was a loving and devoted husband, father, grandfather and brother. Les never missed a sporting event for any one of his grandchildren. He was a member of Chippewa Bow Hunters Club. Les was an avid Packers and Brewers fan and loved watching various sporting events/games. Les worked at Uniroyal in Eau Claire, for 24 years, before his retirement. During his retired years he enjoyed hunting and fishing as well spending time with his wife, children and grandchildren. Survivors include his wife of 39 years, whom he lovingly referred to as “his honey,” Nadine; three children, Eric (Liz) of Cornell, Kayla (Dave) Proffitt of Lake Hallie and Sheila (Bryan Ginder) Barsamian of Chippewa Falls; 13 grandchildren, RaeAnna, Landon, Ithan, Kaiden, Adisyn, Emma, Devin, Karter, Abby, Ava, Kynlea, Autumn and Avery; seven sisters, Jackie (Nick) Cigan, Christine (Tom) Bell, Deb (Bill) Nandory, Cyndie Barsamian, Elizabeth (Ronnie) Schmidt, Kim Powers, Mary (Frank) Matuszak; one brother, Larry (Theresa Thompson) Barsamian; and many nieces, nephews and cousins. Leslie was preceded in death by his parents. Memorial Mass of Christian Burial will be held at noon Thursday, April 4, at Holy Ghost Catholic Church in Chippewa Falls, with Father Justin Kizewski celebrating the Mass. Visitation will be one hour prior to Mass Thursday at church. Burial will be held at a later date. Chippewa Valley Cremation Services-Celebration of Life Center is serving the family. To express condolences online please visit www.chippewavalleycremation.com.